Foto Source Canada Inc. is Canada’s largest buying and marketing group for photographic retailers. 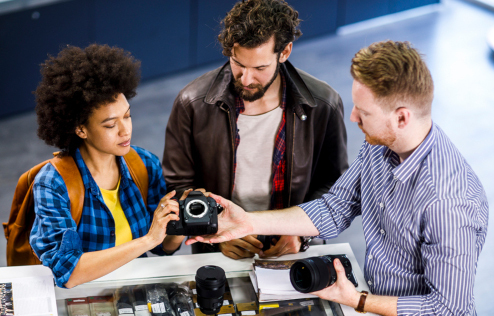 As a leader in the photo industry, Foto Source wanted to automate the ordering and invoicing process for over 200 member stores and many vendors. To be effective, the system would have to be utilized by many users from many different companies. Large vendors would require complex integration with their enterprise systems, but small vendors would not have any enterprise system to integrate with. The functionality would not only have to differ for member users versus vendor users, but would also be dependent on the responsibilities of different users within a single company. A vendor may have an inventory control department responsible for maintaining products, a sales department responsible for placing retailer orders, and an accounting department responsible for invoicing Foto Source. Likewise, retailer-members would often have different people responsible for placing orders than those who would look after paying invoices, for example. Although the system would be operated primarily by vendors and members, Foto Source head office users would require special access to support the user community and administer the system. All the financial transactions generated by the system would have to be accounted for by head office. In addition to purchases from vendors and sales to members, the system would have to enable head office to sell to vendors, for things like trade show booth space. Foto Source was a perfect candidate for the Interprise Software cloud-computing system. Being completely web-based, Interprise Software is available from any location at any time, requiring only an Internet connection and a browser. Interprise Software has functionality for the different types of companies and people that Foto Source works with, organized in portals. Small vendors can use the vendor portal to upload and/or edit products and pricing and to invoice orders. Large vendors can send product information and receive invoices through a direct EDI connection to their enterprise systems. 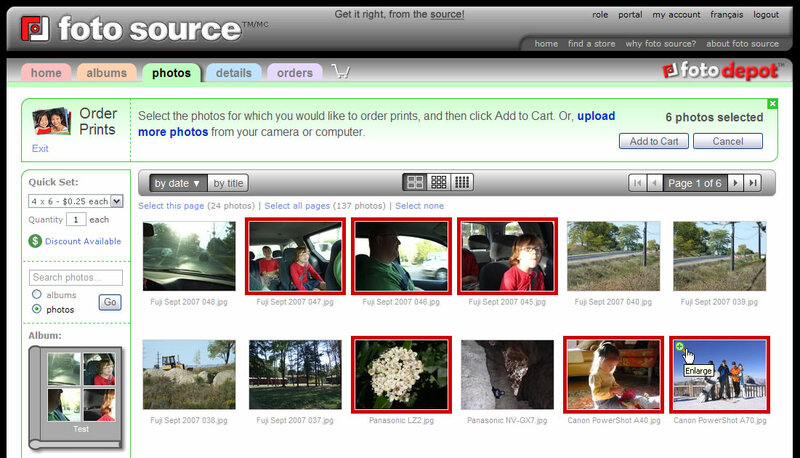 Foto Source member stores use the member portal to place orders and make payments. They can also identify the services, brands, products and prices offered at their store and use the built-in WYSIWYG content editor to add their own custom web pages, which will be seen in the consumer portal. Consumers visiting the site can quickly find the products and services offered by their local retailer, as well as contact information and a map to that store. The Interprise Software team customized the consumer portal for Foto Source to include a photo-sharing and storage module called foto depot. Using the e-commerce (shopping cart) features of Interprise Software, consumers can also order prints and pick them up at their local store, or have them shipped to their house. The ability to create custom photo products was later added – products such as photo books, calendars and mugs. The head office portal includes a complete web-based accounting system, which covers all financial transactions. Advanced accounting features enable head office users to record both sales and purchases to either members or vendors, and to automatically generate member invoices from vendor invoices. Head office users can also impersonate any user from any company to see the system exactly the way it is seen by that user. Interprise Software is designed to be completely self-maintained. Vendors and members sign up online to use the system. A sign-up notification email is sent to head office with an approval link. Once approved, vendor and member administrators can create roles and define the functionality of each role. They can then create as many users as needed and assign them to the role of their choosing. Administrators can also define which users should receive orders, invoices and other documents sent by the system. Users even have the ability to sort and search for transactions in the system and generate their own PDF and Microsoft Excel reports. If you operate a franchise, buying group or co-operative, contact us to find out how you, your vendors, your members, and their consumers can all benefit from Interprise Software. 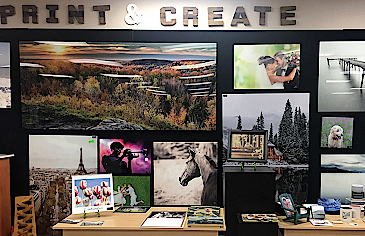 Case Study: Foto Source Canada Inc.
President, Foto Source Canada Inc.
As Canada’s largest photographic buying group, we depend on Interprise Software to manage the transactions and communication between our members, vendors, consumers, and head office. At a recent strategic planning session with an industry consultant, the executive directors all agreed that Interprise Software is our greatest competitive advantage. Our profit increased dramatically when we moved to central billing automation in Interprise Software. The added revenue allowed us to provide more incentives for members and expand our marketing efforts. Interprise Software helps us to control our credit risk by tracking credit guarantees and enforcing credit limits automatically for each member. At any time, members and authorized head office users can log in and see the current credit position, including open invoices, backorders and available credit. From the beginning, the Interprise Software team has demonstrated professionalism through careful planning, intuitive design, thorough testing, regular updates and responsive support. I would recommend Interprise Software to any franchise or buying group looking to increase efficiency and profitability through automation of their supply chain.